Are you a remodeling contractor looking for new customers ? Try the 99 Calls Lead Generation System for Remodeling Contractors! The 99 Calls Lead Generation System was uniquely developed to promote Remodeling contractors online. 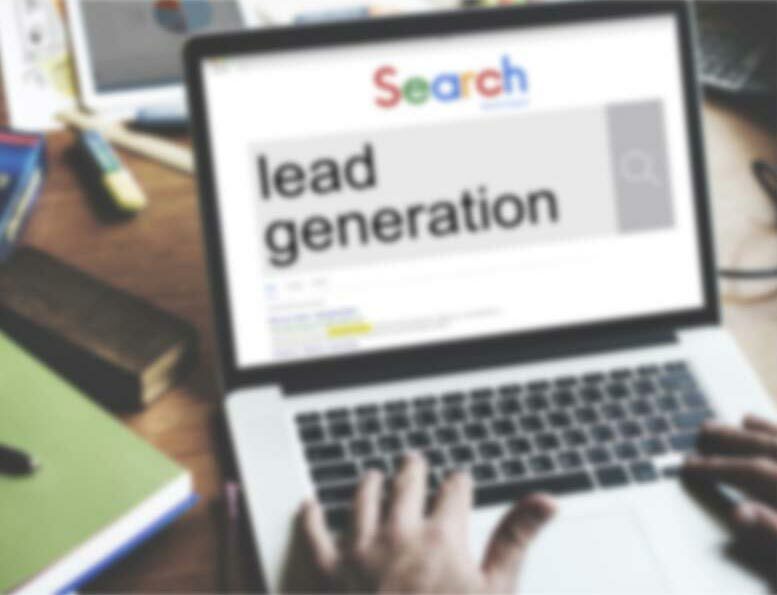 The lead system starts with a super-speedy, mobile-friendly, SEO website that is specifically designed to generate remodeling leads in the areas you serve. Your remodeling business is then promoted to major search engines such as Google, Bing, and Yahoo, Yelp and Facebook, which are used by local residents to find Remodeling Contractors. Through our extensive and relentless online promotion of your Remodeling business, local customers will find and call you directly. Imagine, exclusive Remodeling Leads flowing directly to your phone! And, great news! The longer you use the 99 Calls Lead Generation System, the more Remodeling leads you'll receive each month! Learn more about the 99 Calls Lead Generation System for Remodeling Contractors, click the "GET STARTED" button, or call us, 9am-5pm ET, at 800-717-4669. The 99 Calls lead generation system is proven to deliver top quality Remodeling Leads. There’s nothing better than organic SEO for attracting the right prospects. So we create a hyper-fast, mobile-friendly, optimized website for your Remodeling company. Benefit from local traffic — people who need a Remodeling Contractor click and call. Next, your Remodeling business is promoted to top local search engines (Google, Bing, and Yahoo) & other important online directories. When people need a Remodeler, your business is prominently featured. Your Remodeling business looks like a trusted Fortune 500 company. The average Remodeling Contractor business enjoys about 30 leads in the first year and 90 in the second year. Top clients get considerably more leads: 80 leads in the first year and 150 in the second year! No Contract. Plus we GUARANTEE that you will receive leads, or you won't pay a dime! You are in total control! Pay only for the qualified remodeling leads you receive. "I am interested in a quote for a full bathroom remodel in a small rental property in OKC." "Complete renovation of apartment complex clubhouse." "I have a 2,000 sq ft home that is currently empty that needs to be painted and would like to get a quote. Basic color throughout." "We are looking to remodel an existing bathroom; it currently has a tub and we'd like to redo the tile and have a walk-in shower. We also intend to eventually remodel our kitchen." If you are in the remodeling business, you know that customers are likely to call one of the first companies that come up when they do an online search. When potential customers are ready to choose a remodeling contractor, they want to know they are getting the best deal around. If you want to be the one they call, you need to rank on the first page of Google and the major other search engines. Want more roofing and siding jobs? Need leads for your gutter installation business? Want to grow your painting and drywall business? Are you a remodeling contractor looking for kitchen or bathroom remodeling work? Learn more about the 99 Calls Lead Generation System for Remodeling Contractors, click the "GET STARTED" button, or call us at 800-717-4669, Monday-Friday 9am-5pm ET. "I am 100% satisfied with 99 Calls lead generation for my roofing business. I get calls just about every day." "I've hired and fired a bunch of web marketers and lead generators over the years and I must say that 99 Calls has been at the top of our kudos list in only a short period of time! Keep up the good work! They're always a pleasure to work with, friendly, highly knowledgeable and always there to help." We provide far-reaching online promotion of your Remodeling services, potential customers will find and call you directly. Imagine, exclusive Remodeling leads direct to your phone! What's more, the longer you use the 99 Calls Lead Generation System, the more Remodeling leads you will receive month after month! It’s our dedication to extraordinary service. We do what we say we will do. We bend over backward to generate Remodeling leads for remodeling contractors and help their businesses thrive. "We definitely would recommend 99 Calls. The customer service is second to none, and it's a great value. We are happy with the leads we get through the service." 5★★★★★ - "I have been in business for close to 25 years in the Remolding Bath Rooms in the state of Alabama. I have used so many lead generating company's that are not really concerned about their clients success, its all about the money they are going to generate. I have been with Thumbtack, Angie's List, Home Advisor, Service Magic which is Home Advisor with a new name and been on TV and the Radio and none of these guys have performed like 99 Calls. At this time 99 Calls is the only lead generator we use and the reason for this is because the Guys and Gals there really care about your success. They are there for you when you have a question or a concern and the best thing about the program is that the customer contacts you directly. They are not sold to 4 or 5 other contractors and then you have to battle it out to get their business. They contact you directly by phone or email and you build a relationship with them and it's great. If you have a business and you're always wondering what to do to generate more business, you need to be with 99 Calls and if you're not, shame on you. Give it a shot and see what happens. I think you will be GLAD YOU DID !!!!" 5★★★★★ - "99 Calls has been a great asset to the James River Remodeling team. Our lead volume has more than tripled since signing on with the 99 Calls team. We look forward to continuing to grow and advance with 99 Calls. I would certainly recommend them to any one looking to advance there company." 5★★★★★ - "99 Calls does a great job of getting us online and getting us leads. Thank you 99 Calls!" 5★★★★★ - "99 Calls has been great for us to here at Dream Baths of Alabama. Good folks like Diane to work with and affordable." 5★★★★★ - "You are better than our SEO company. Thanks for all your help." 5★★★★★ - "Thank you so much. The site is looking good. You guys are the best. We've had a good year so far. We've doubled our gross sales this year!" 5★★★★★ - "I've been using 99 Calls for my Internet advertising since they started, they provide me with excellent and personal service, attending all my requests whenever I want any changes to my site. Their service is outstanding and paid for itself in the first couple months of work I got. They keep track of all callers and submit monthly reports for the calls I had. Also it's a monthly charge, does not matter how many calls I receive. I trust 99 Calls and have recommended many friends to them."